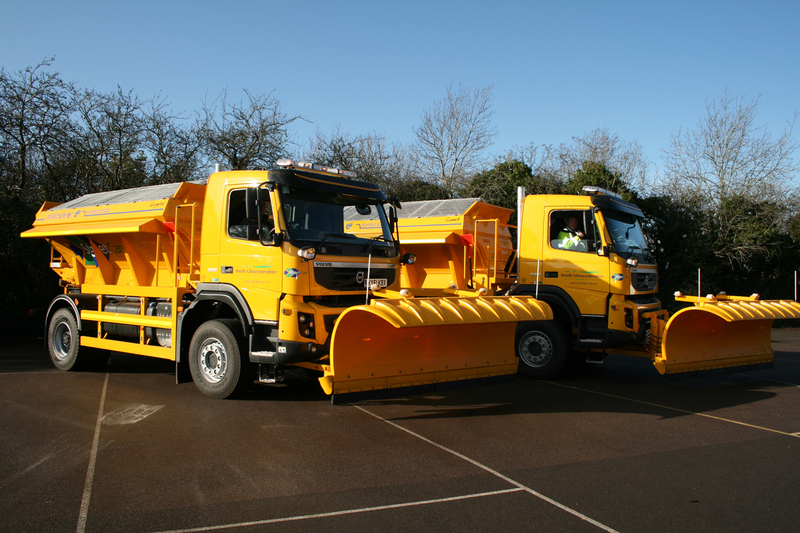 South Gloucestershire’s winter gritting fleet is being readied for the first serious cold spell of the winter and this year we are extending our coverage of cycle and shared use paths. With weather forecasts showing that temperatures are set to drop over the weekend, the council’s winter maintenance team are ready to distribute hundreds of tonnes of salt across the district’s transport network over the next few days as winter weather sets in. We regularly grit around 30 per cent of South Gloucestershire’s road network when ice has been predicted. This involves treating main A and B roads, and routes to schools, care providers, fire, ambulance and police stations etc. Eleven high-tech vehicles will be in operation around the clock to prepare for the temperature drop this weekend. Our vehicles, drivers and staff are on call 24 hours a day, seven days a week throughout the winter months, to keep schools open, businesses running and emergency services on the road. This year we are investing in some new machinery to help us treat cycle and shared use paths and we are extending our coverage with an increase of over 100 per cent on these routes compared with last year (a total of 14396m compared to 5944m in 2014/15). The new specialist equipment will be ready and operational by mid-December. Head of the council’s StreetCare service Mark King said: “Temperatures will be getting colder over the weekend and we will be regularly salting all main routes in the district to prevent ice from developing. “This year we are extending our salt treatment of cycle and shared use paths in the district. From mid-December we will be using some new equipment which will help us grit many of our key cycle commuter routes, in recognition of the important role they play in our transport network. Not all cycle routes will be accessible by the new machinery, but we will be able treat the majority of the A4174 ring road paths from Abbeywood Roundabout to Mangotsfield where it meets the Bristol and Bath Railway Path, along with the section of the railway path from the South Gloucestershire/Bristol boundary through to Warmley. The winter maintenance team runs a high-tech operation with GPS-enabled vehicles and a network of roadside sensors used to monitor road conditions throughout the district. The service is recognised as one of the best-performing in the UK, both in terms of its track record in keeping the roads open, and in overall cost-effectiveness.